BookMyStall is a unique platform for the Event managers to sell stall space to the public. WelcomHotel Rama International-5 Star Hotel, Aurangabad 431003. Products, Jewellery, Women Wear, Home Decor. 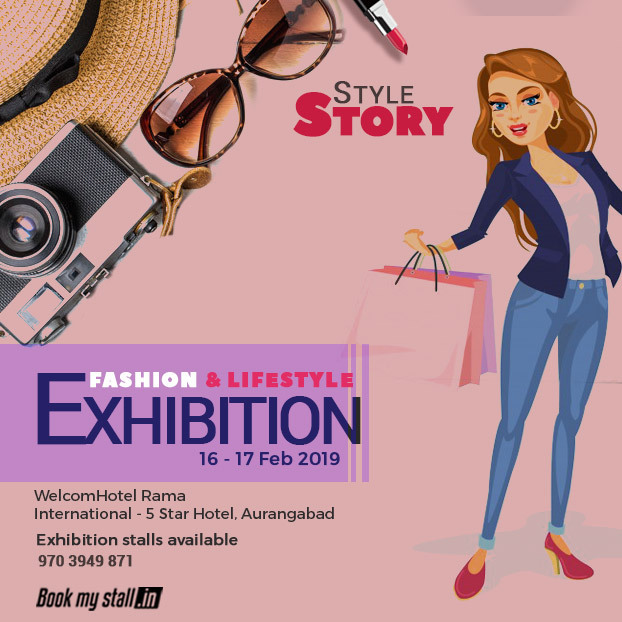 For More Details: Style Story Fashion and Lifestyle Exhibition Contact Us: +91 9703949871 | Mail ID: [email protected] 16th & 17th Feb 2019 From 10:00 AM To 07:00 PM WelcomHotel Rama International-5 Star Hotel, Aurangabad 431003. Stalls Price: 2 Days - 54000/- Tables - 2 Chairs - 2 Full Stall - Open Table. WelcomHotel Rama International - 5 Star Hotel, Aurangabad 431003. Pin/Zip Code : 431003.